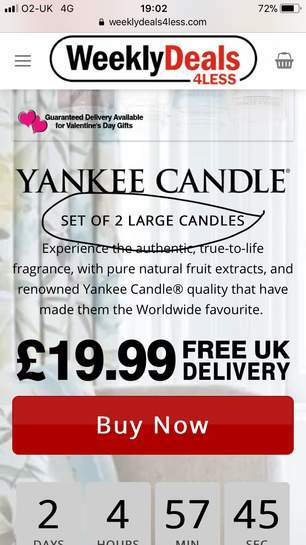 Received an email last night with these yankee candles, looks like they have 4 different sets of scents to pick from.. i know these are usually outrageously priced.. so work out at £10 each which seems good as they are the large ones.. plus added bonus free delivery! 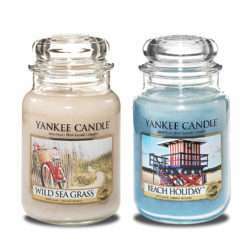 Iv bought stuff from this site before when i found them on hotdeals last christmas with the foot warmers and not had an issue.. but these smelly candles arnt for me lol! Are they the home inspiration range? The pictures are clearly large, but you are correct it doesn't state anywhere that they are actually large as far as i can see. Thanks for posting, went for a set. If I click on View I can see everything as mentioned before - have contacted them about it. Yes, that's how I paid. Thanks for posting, went for a set.Strange thing happened though - I'd …Thanks for posting, went for a set.Strange thing happened though - I'd never registered or ordered from them before, but after ordering/registering today, there's a total stranger's previous order from 2016 & their details (what was ordered, plus their address, email & mobile number) in My Account > Orders - how weird is that ‌ [Image] If I click on View I can see everything as mentioned before - have contacted them about it. Great deal! I grabbed the two berry ones. Anyone know why it says next delivery 1st of January 樂 it says 3-5 days delivery. I’ve bought the Fireside Treats + Cosy by the Fire pack. Hope it’s not a scam! Great deal! I grabbed the two berry ones.Anyone know why it says next …Great deal! I grabbed the two berry ones.Anyone know why it says next delivery 1st of January 樂 it says 3-5 days delivery. Yes - I’m wondering the same! Does anyone know if paying with PayPal covers us in the event the candles don’t turn up? I’ve bought the Fireside Treats + Cosy by the Fire pack. Hope it’s not a sc …I’ve bought the Fireside Treats + Cosy by the Fire pack. Hope it’s not a scam! States large on the landing page - great deal the trifle sounds nice! Does anyone know if paying with PayPal covers us in the event the candles …Does anyone know if paying with PayPal covers us in the event the candles don’t turn up? I have one lit in every room eveny toilet I put all the earthy smells in its a joke I’m like ok cheap get them I wonder if they go off ?? Anyone else used this company before? I have one lit in every room eveny toilet I put all the earthy smells in …I have one lit in every room eveny toilet I put all the earthy smells in its a joke I’m like ok cheap get them I wonder if they go off ?? Anyone get a confirmation email at least? I've had nothing but a PayPal payment email since I bought these a few days ago! At pablot1981, I got a confirmation email and a despatch email notification. Anyone get a confirmation email at least? I've had nothing but a PayPal …Anyone get a confirmation email at least? I've had nothing but a PayPal payment email since I bought these a few days ago! Thanks everyone they've arrived and the email is was in the spam folder after all! 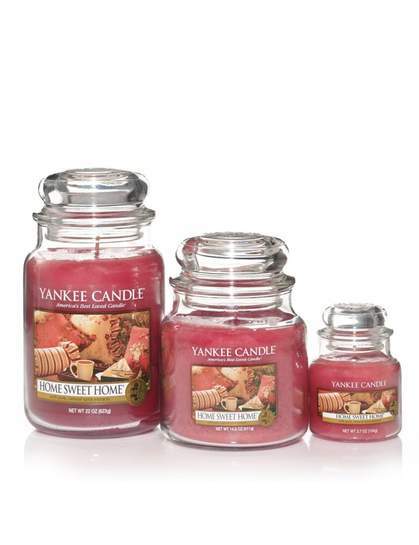 Oh wow, very happy my order has arrived, these candles are the real deal, perfect. I got a 10% voucher with my order, so I had to buy 18 more. Which make them £8.99 a jar, compared to £23.99 beyond a bargain. Will make perfect presents through out the year.